Apartment in Palermo Hollywood, Buenos Aires - Neoclassic ! 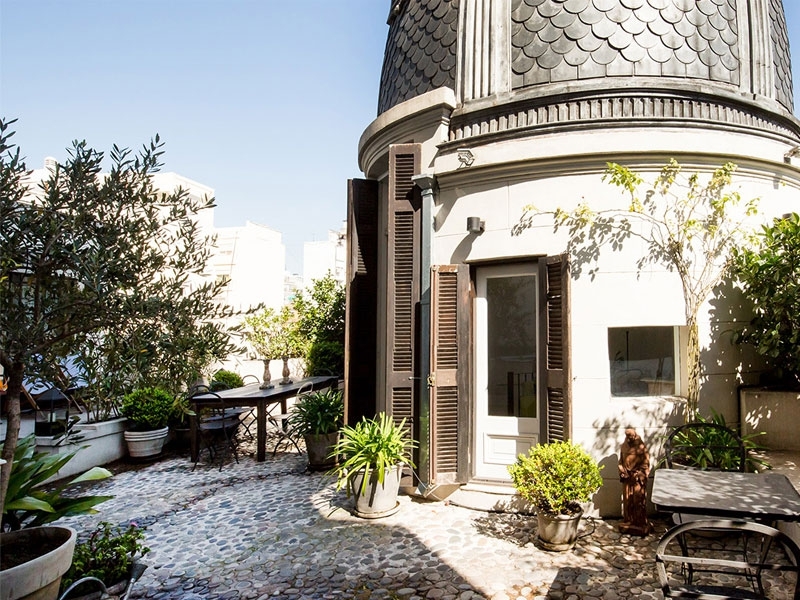 Neoclassic 2,100 square feet townhouse in Palermo Hollywood suburbs, with delightful inner courtyard and period features. Built in 1915 and fully remodeled in 2009, this townhouse is a great place to entertain with more than 160 square meters of indoor living space and over 40 square meters of inner courtyard area. The décor is a mixture of styles, traditional, asian and french work together. This house for rent in Buenos Aires is a unique private residence and provides three full bedrooms with ensuite bathrooms and a smaller fourth bedroom with single bed. The three suites are situated around the central inner courtyard, each are decorated and furnished to a different style. The living room with its high ceilings and its stylish decór features an L-shaped sofa, and an array of comfortable seating and contemporary furnishings. A separate entertainment/media room, located in the basement, has its own TV and DVD projector incorporating an audio system, perfect for a cozy night in. The kitchen which is to the rear of the property, is equipped with a range of modern appliances. The spacious dining room comfortably seats six, and is a great place to entertain both family and friends. 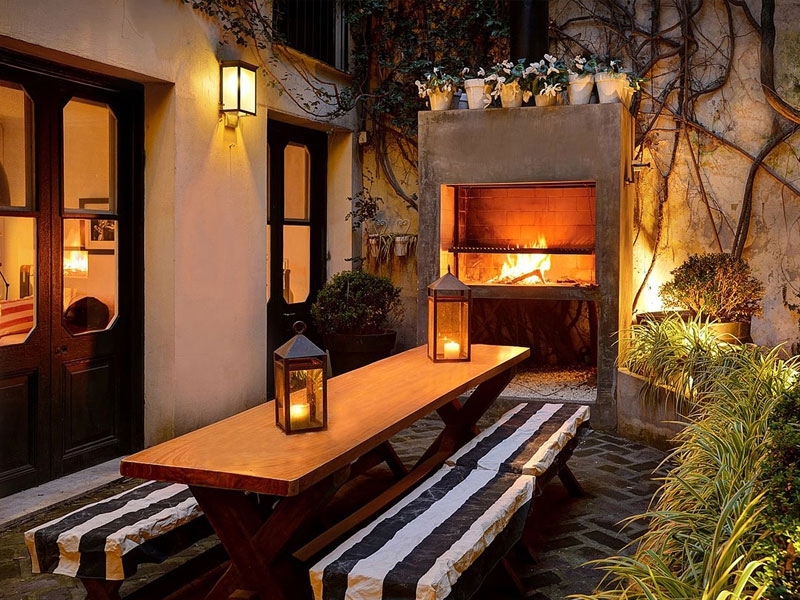 The delightful inner courtyard makes this a perfect place where to have your morning coffee or read a good book when you are not exploring the city. Equipped with wrought iron tables and chairs, it has a feeling of rural france about it. The three bedrooms open onto the inner courtyard and feature queen size beds, large closet space and ensuite bathrooms. The fourth bedroom has a single bed.